When there are starving children all around the world, should we encourage children to play with food? 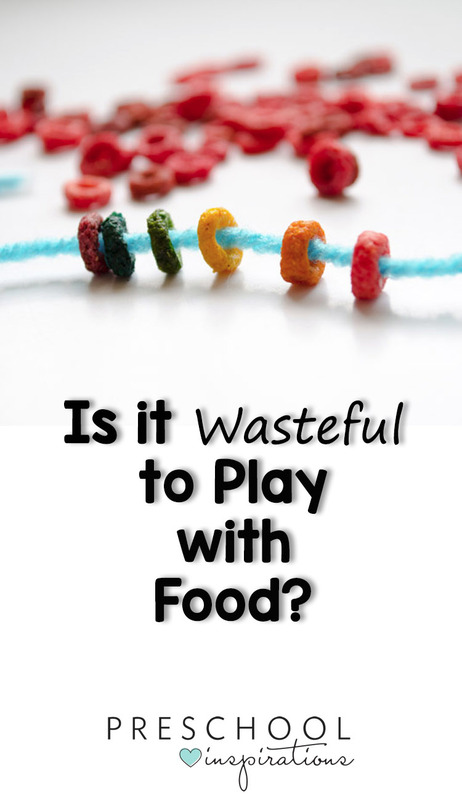 Is it wasteful to play with food? I hear lots of people use this reasoning when they see an activity where food is used with children. 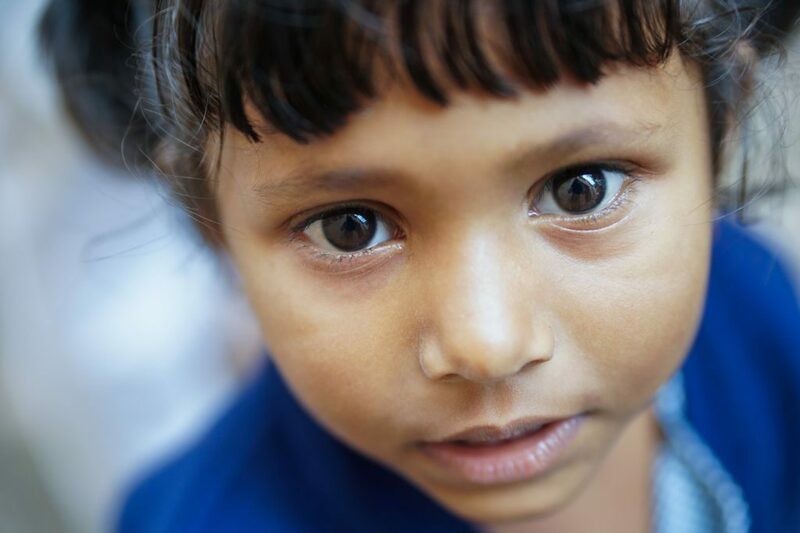 Today I share this topic with you, not as just a teacher or mom, but as someone who has spent three months with some of the poorest children in the world. These are little ones I lived among, sang songs with, hugged, prayed with, and even wept over. Their photos are in my home, reminding me of their beautiful hearts and especially of their struggles and challenges. The most necessary basics for life are food, water, and shelter. When I think of these precious families, it reminds me of the bloated bellies I saw due to lack of food and necessary nutrients. I think of the dirty water that surrounded them — that they relied on. My mind goes back to the moments I would see them excitedly running toward me — with just a shirt on and nothing else. Not even pants or shoes. I think of how exhausted some of them were because they were so hungry and slept on dirt floors. My life had been changed forever. When I hear people mentioning that playing with food is wasteful, it takes my mind back to the slums of India. More than that though, it shows me that our perception of poverty is very limited. I appreciate that people have concerns for starving children. My heart has been broken over these needs. However, we have failed to realize that there is so much more to poverty. So when you ask me if I would agree that it is wasteful for children to do activities with food, this is my response. When I moved from a third world country back to my home in the U.S., I experienced severe guilt every single day for months. I nearly sold my car, even though there was not much around me that was within walking distance. I started turning off the water in my shower whenever I wasn’t rinsing. I couldn’t justify buying new clothes. The thought of not finishing the food on my plate was unimaginable. And certainly buying shoes unless my own were completely worn out was out of the picture. As you might have wondered, I did work through this. I have bought new clothes, and I drive a car on a regular basis. I visit water parks and pull out the water table often. I don’t judge people for cutting the crusts off bread or eating at a buffet. I had to find a balance within myself to process the two different worlds I had lived in. I came to a realization that I live in a culture that is abundant and affluent. Instead of feeling guilty, I was much better off to practice generosity and frugality. I’ll never lose sight of what true poverty is though, and it is still hard for me to buy a new pair of shoes. In fact, it has probably been at least five years since I’ve bought more than a couple pair of flip-flops for myself. Does It Help Raise Awareness to Avoid Playing With Food? Some have said that when we don’t allow children to play with food that it helps teach children about those who are experiencing hunger. I was told about poverty all my life. I saw the commercials with the adorable children who wore dirty clothes and were playing in the streets. I was more knowledgeable about the topic of poverty from these, but I had no clue what true poverty was. I can go to a grocery store, turn on water from a faucet, and buy anything. It wasn’t until I saw it first-hand and lived among it for several months that I really understood it though. I think that a more effective strategy to help child understand hunger and poverty would be to eat rice for an entire week or to purchase belongings for someone in need. Playing with food can be an incredible learning experience, specifically with sensory play. I’ve had children with incredible texture aversions respond well to food after rejecting nearly everything else. They felt comfortable with it and familiar with it, so it was more inviting. How can we be more aware while using food for activities with children? The photo pictured above was from a box of Cheerios that I spilled all over the floor one day. Let’s take a look at playdough! 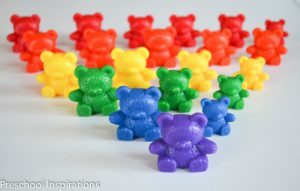 Playdough is a staple of many classrooms and programs for children. It’s for a good reason too. 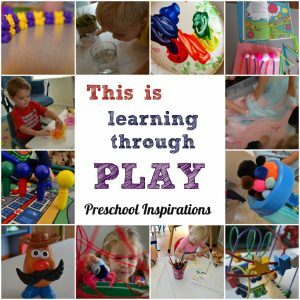 Playdough promotes creativity, hands-on learning, fine motor development, sensory stimulation and development, and it’s even calming and therapeutic. Have you ever thought of it as playing with food though? While we don’t consider it something we would encourage children to eat, especially because of the high content of salt, it is made of all food products. 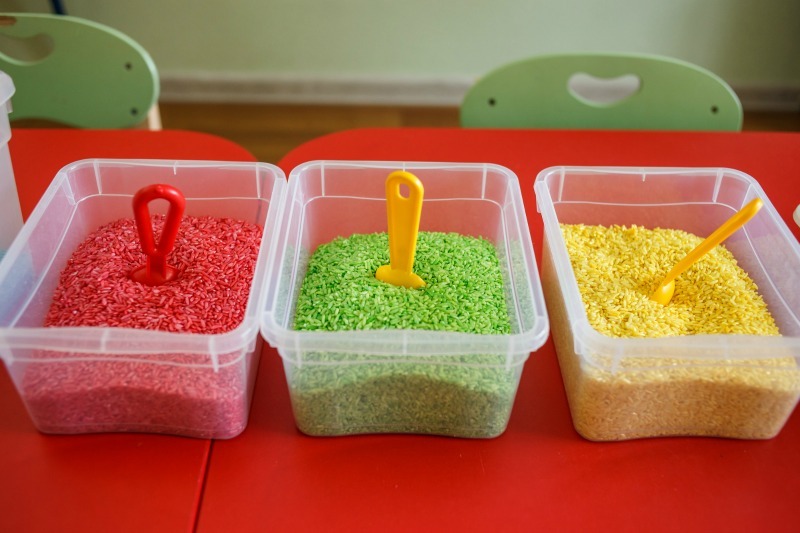 The ingredients of playdough are the same ingredients necessary to bake bread (obviously in different amounts and with the addition of yeast), and they are even the ingredients you would use to make noodles (just add an egg and different proportions). I don’t think we should ban playdough though. Imagine all the rich learning experiences that would fall to the wayside. 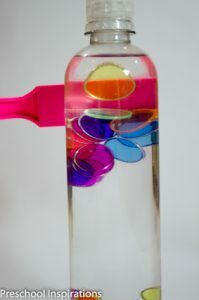 It was even a sanity saver in my large classes when the children just needed to manipulate, touch, and feel. Playing with food can be a wonderful experience for children and provide them amazing outlets for creativity, sensory stimulation, and for movement. It is important to be mindful when using food though. Are there allergies among the children? Are there children who are actually hungry and need their bellies fed first? Are they from a family that doesn’t have enough food in their pantry or refrigerator to make dinner that evening? Do you live in a country where this is not culturally acceptable or even appropriate? Each person has to decide for himself and herself if their setting is an appropriate and respectful place to provide food for an activity. There is no blanket answer to this. What if your place of employment does not allow playing with food? I have worked in accredited child care programs, so I know that some programs just simply do not allow food for play. I encourage you to respect that and abide by it. There are always rules and regulations that people do not see eye to eye on. You could always respectfully pass this article on to them though as “food for thought.” Perhaps hosting a food drive at your school would be the perfect option or even sponsoring a child for your class. Read some more of my most popular posts! I have following Preschool Inspiration for a while now. I do a literacy program at a slum here in Jaipur, Rajasthan, India. I plan to start a medical help program and run a project that would employ the ladies. So, to read your email was very touching and challenging. 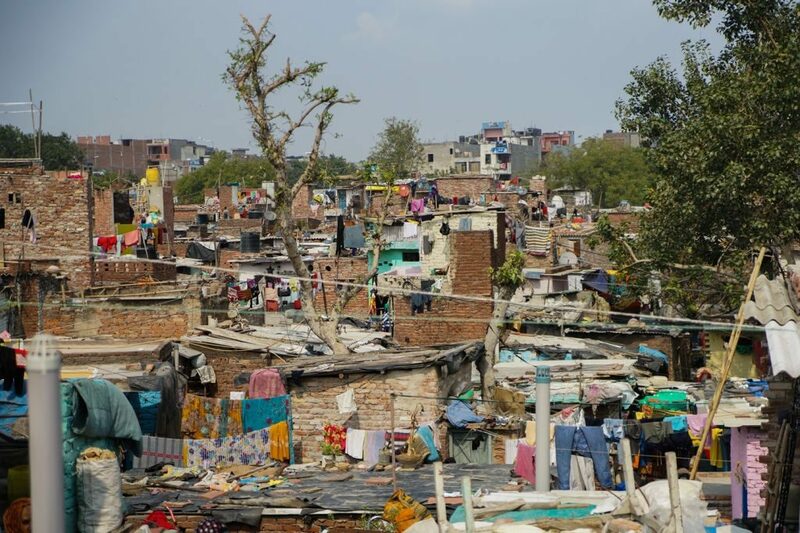 I have learned many ideas from Preschool Inspiration which I use for the kids in the slum. I am happy to know that you have been to India. Also the article playing with food was interesting. Yes, it is true that in our country we don’t play with food. Not because it is scarce but because it is believed that it is disrespectful to play with food because it gives us life and it can bring curse upon them. I am very eager to learn more things from you. Thank you for your beautiful comment, Anima! India is so precious to me, and I love the chance to interact with anyone who understands the country that holds part of my heart! I lived in Hyderabad by the way. It is so wonderful to read about your perspective, and honestly, I wouldn’t even use food as an activity in India (and many other places too). Playing with food is not for everyone, and our own cultural traditions need to be respected. The cultural aspects between the Western World and India are vastly different, so I am very appreciative that you commented. Your perspective is invaluable! Call me crazy but when I have had children make cereal necklaces, they used their own pile of cereal and we’re then encouraged to eat off the necklace for a snack. No waste. That is definitely an awesome way to do it, Julie! My cereal necklaces aren’t technically edible since they are dyed Cheerios. However, your way is definitely win-win :). I loved reading your blog post. In my early twenties I volunteered in Guatemala for a couple of months, working as an OT with street children. It changed my life. It took me some time too to process my experiences and I carried a lot of guilt around me for months, if not years. I relate to a lot of the things you talk about in this article and I appreciate how beautifully you point out different perspectives and offer alternatives. i live in central London. Several years ago we were making dough with the children and I noticed a mum sitting in the corner. I went over to chat with her and realised she was weeping. She was a refugee from Somalia and told me the flour we were playing with was more than her family had for a week. It challenged how I worked. We set up donation boxes for expired dry good and flour and asked the local grocers to give us any out of date. We also adopted a school in Somalia and one in Bosnia (we have loads of Bosnian refugees at the time). We all need to be more educated about the world. We also had a great time investigating alternative doughs, sand, straw, used coffee grounds, etc. It’s just plain old fashioned manners and consideration. Tracie, thank you for sharing this touching story. How beautiful that you saw the needs around you and took action! I bet you came up with some amazing alternatives too. This is a perfect illustration of how each culture and group of people see food differently, and I loved reading about how thoughtful you were in the midst of it. I appreciate this thoughtful comment, Kavi!